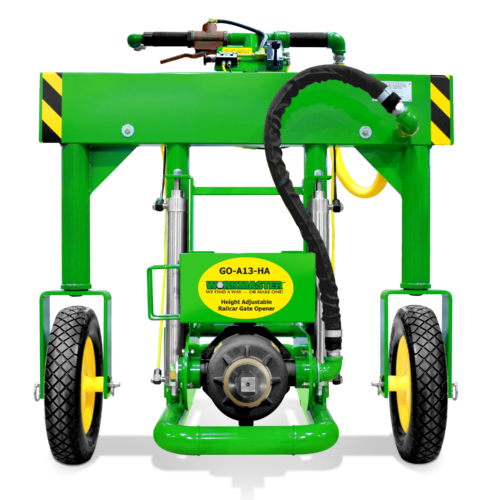 The GO-A13-HA features a controllable speed of 100 to 1,400 RPM, and a no-torque reaction, self-regulating power output of 1,000 to 13,000 ft-lb. Will open any gate in < 8 seconds! 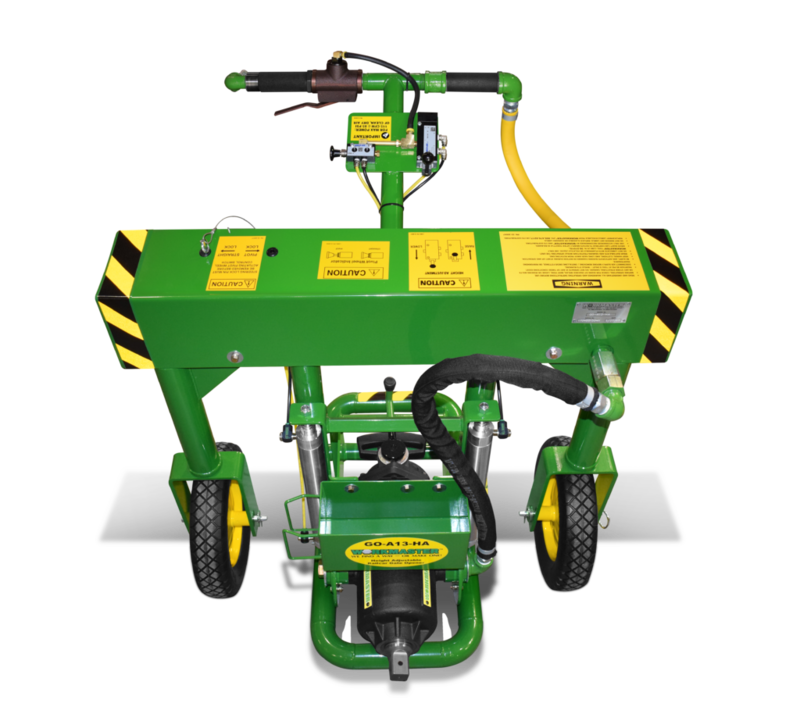 The WORKMASTER® GO-A13-HA is an air-powered Hopper Car Gate Opener on a wheeled-cart with pneumatic control of both its pivot wheels (to follow traveling gate or moving train), and height adjustment (to accommodate varied height capstans). Railcars in long train units which require rapid opening / closing during continuous movement. 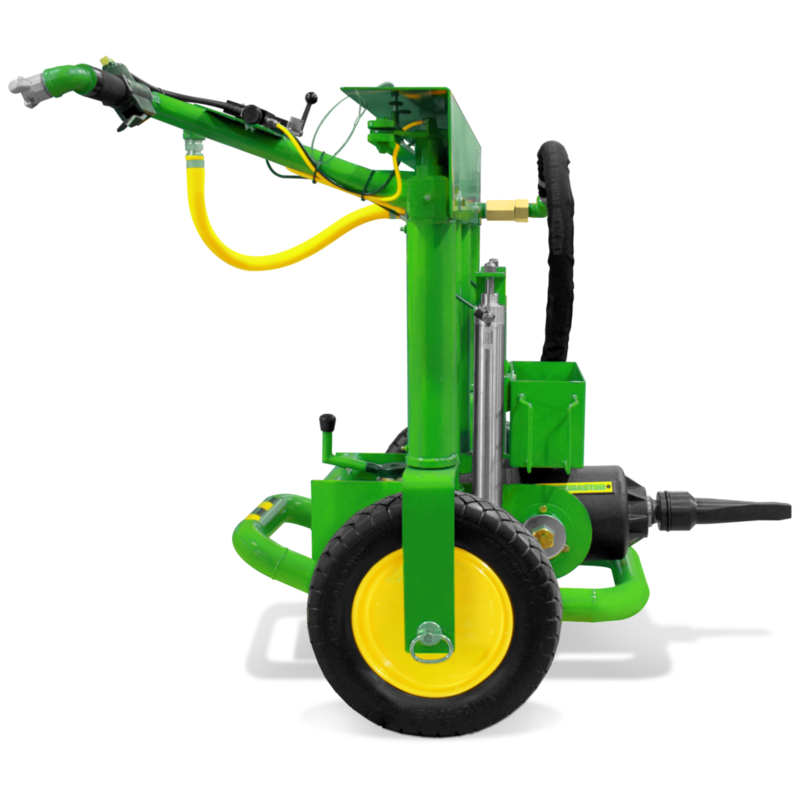 Ergonomically positioned self-closing, speed control throttle; positive on/off pivot wheel switch; forward/reverse air motor lever arm; height adjustment lever controls easy to reach and operate. Opener shipped with 1-Qt TOOL LUBE™ Air Motor Oil to make lubrication fast and easy. Tool Storage Container holds available drive extensions. Heavy-Duty, smooth-lift type to enable thousands of rapid, lever controlled, lift / lower height adjustment cycles with minimal maintenance. Precision machined, 4140 tool steel, 1-piece construction with 1-1/2″ sq socket using pin & ring retainer opens hundreds of gates. 2-postition toggle switch allows oversized, flat-free, solid tires to pneumatically pivot 90° to follow capstan movement on traveling gates. Self-regulating, no-torque-reaction output of 1,000 to 13,000 ft-lb to open even the most jammed gates in < 8 seconds. Baked-on powder coat finish prevents rust and corrosion caused by weather and harsh conditions. 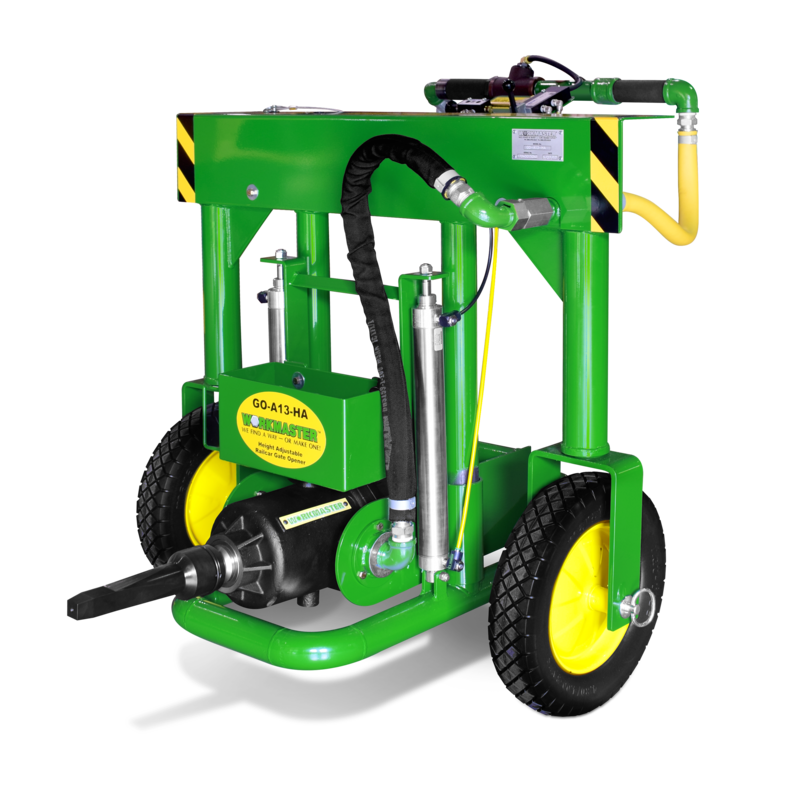 Eliminates explosion, electrical shock, and hydraulic fluid leaks and burns. 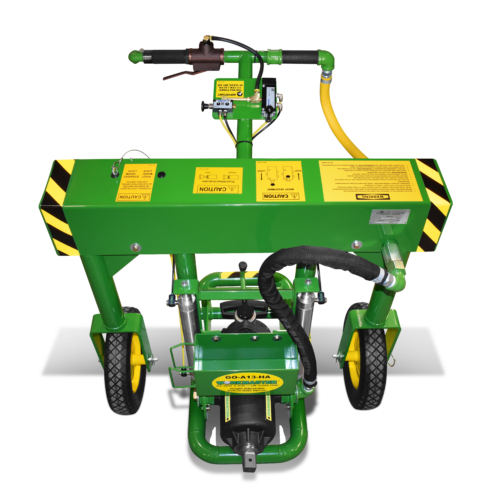 Also provides instant start/stop operation.